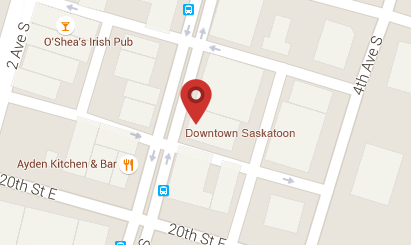 O’Shea’s Irish Pub is located in beautiful Saskatoon, Saskatchewan. We invite you to join us for lunch, supper or a drink with friends. In the summertime, enjoy our large roof top deck and relax in the sun while our staff serves you great food and drink. Locally owned since 2002, we strive to make O’Shea’s your personal watering hole. Come on down and enjoy a pint! to make an evening of your Downtown Saskatoon experience.